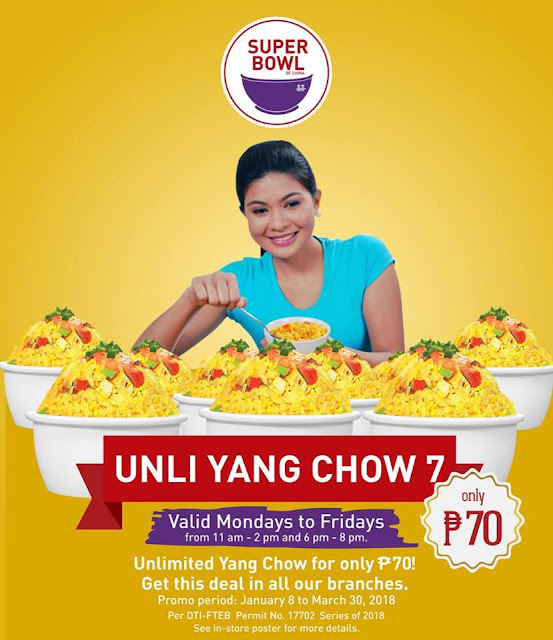 Join the Unli Yang Chow Craze Promo at Super Bowl of China! 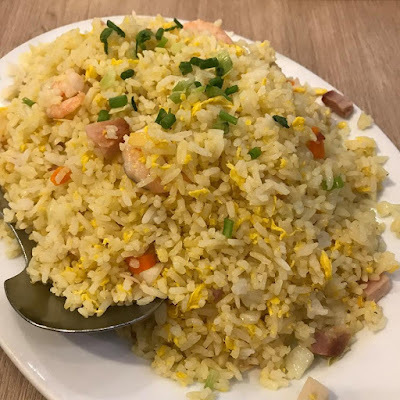 Get their best-selling Yang Chow Fried Rice with unlimited serving for P70 only! Offer valid Mondays to Fridays, from 11am to 2pm, and from 6pm to 8pm. Promo period is from January 8 to March 30, 2018 in all Super Bowl of China branches nationwide!